The defense ministry once again confirmed the acquisition of five squadrons of modified Tejas light fighters into IAF. 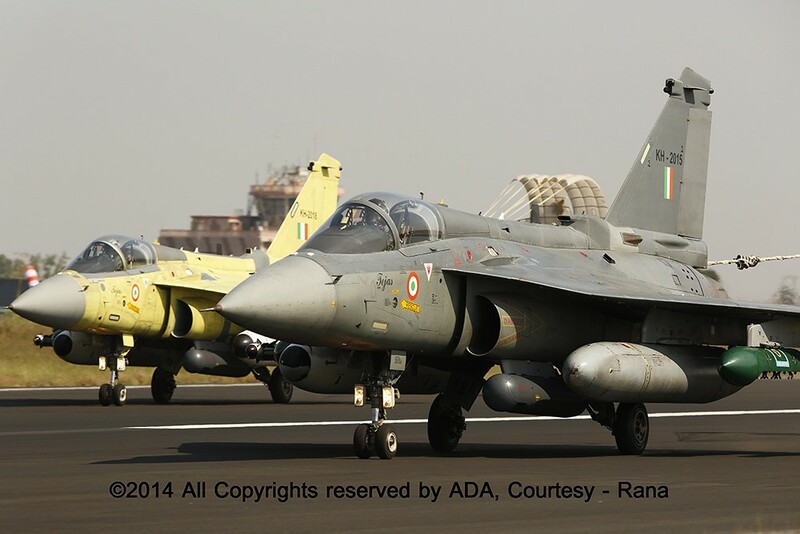 This number adds the earlier orders of 40 IOC 2 standard Tejas fighters. 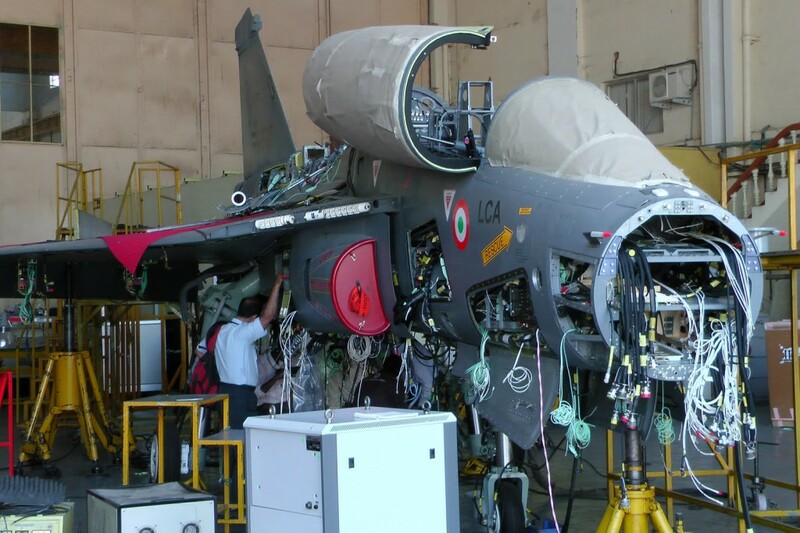 Making the total orders of 146 Tejas fighters in IAF. The ministry also insists the HAL to double the production capability to deliver those fighters before 2023. The Indian Air force has nearly 260 numbers of older generation MiG 21 and MiG 27 fighter aircraft's. Air force already started decommissioning of nearly 20 fighters every year. However there is no option of inducting newer fighter jets. Except the earlier ordered Su 30 MKI units. 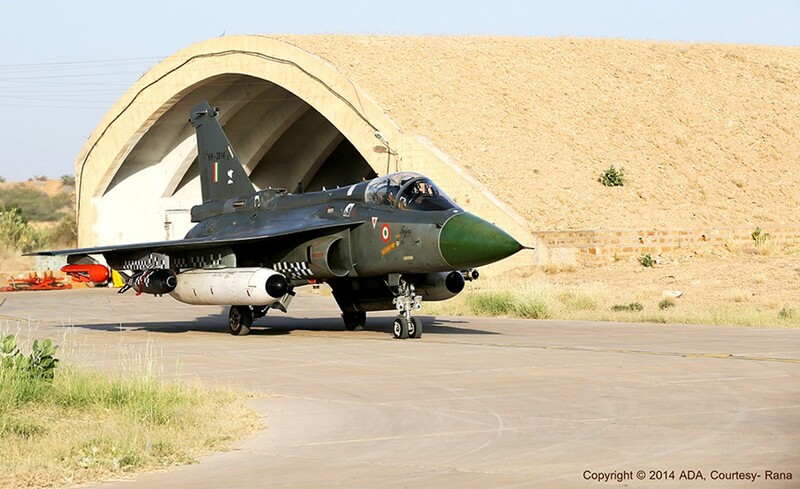 The ADA designed HAL Tejas also perform poor and inadequate to conduct IAF missions. 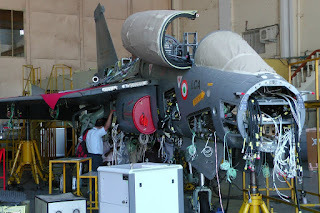 The CAG criticized the HAL and ADA , that they didn't provide a good fighter jet for the IAF's requirement of Light combat aircraft, The CAG found issues in Tejas, the list includes lack of Electronic warfare suites, radar warning receivers, counter measure suites, issues in weight, reduced fuel storage and over weight ballast. However the Air force agreed to buy 40 IOC 2 Tejas jets, even those fighters having above mentioned problems. Tejas planned to deliver those first order of 40 fighters before 2019. By delivering eight fighters per year, starting from 2016. The IOC 2 standard aircraft's have Kevlar radome, Lack of BVR missile firing capability, lack of in-flight refueling, lack of self protection jammers. The IOC 2 Tejas can capable to conduct close air support mission inside friendly air space, with Laser guided bombs supported by Lighting Pod. Tejas also fire short range IR guided missile for self protection. The Mark 1 A fighter have increased performance, with reduced weight, ADA plans to remove the Ballast and re engineer the landing gear, both of them can reduce the weight by nearly one ton. however many analysts confirms there is no way of reduce the weight more than some 400 Kgs. The pre assumed value of one tone is pure specifically Aviation experts said. In addition the Tejas Mark 1 A comes with dual color missile approaching warning system, Radar warning receiver, and externally carried self protection pods in wingtips and counter measure dispensers who can provide provide protection to the Tejas against enemy missiles. This allows the fighter can perform missions in stand alone mode. Even have capabilities to conduct mission in contested airspace. Mark 1 A comes with solid state AESA radar made by Israeli firm ELTA,The actual range of the Radar remains classified, However performance wise the EL/M 2052 AESA have range of more than 200 kilometers. with the simultaneously tracking of 64 air targets with look down shoot down capability. The EL/M 2052 can guide more than four missiles into variety of air targets at once. Adding the Cobham quartz radome can increase the range of Radar. In Air to ground mode the Radar perform better Synthetic Aperture Radar imaging, ground target detection and tracking, real beam tracking and weather application too. The Mark 1 A can fire long range radar guided air to air missiles like Israeli made Derby BVR missile and Indian made Astra BVR missile, each having interception range of more than 50 kilometers. with the in flight refueling the range of the LCA can be increased, allows the fighter remain in the air for long time. The Tejas Mark 1 A can achieve the first flight before 2018, and the serial production starts the same year. with the production capability of 16 fighter per year to meet the 2023 time line to deliver all 100+ Tejas Mark 1 A fighter. Ministry provided nearly 1200 crores to HAL setup and modernize the production line to increase the production capability. Compared to the previous versions, the Mark 1 A have more than 43 modifications, The Tejas Mark 1 A becomes 5500 kg of weight compared to the Tejas' 6500 ton weight. reduced weight can improve the fighter to carry more weapons and increase the combat radius.